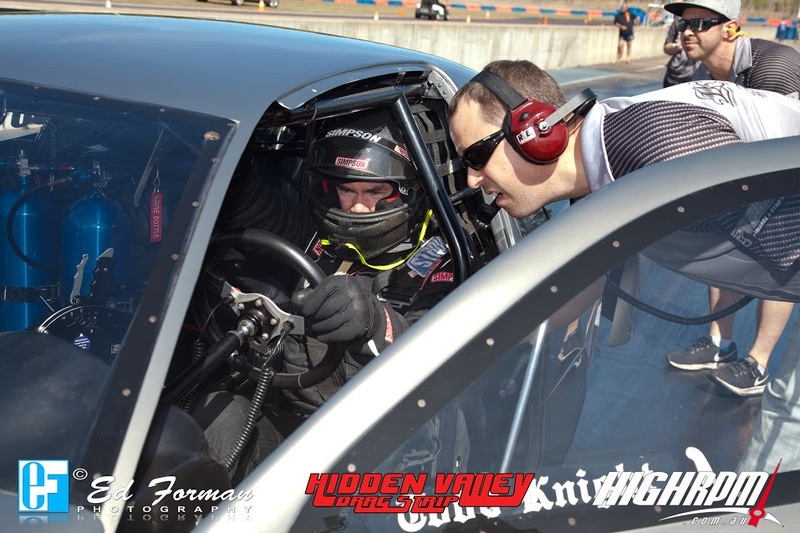 This year on Territory Day (01 July) the noise and smoke started much earlier than the fireworks as the Hidden Valley Drag Strip opened the gates for thier Territory Day Club Extravaganza event. With Show'n'Shine entries, club racing as well as Test & Tune trials for entrants entering in the upcoming "Nitro Up North" the day was a great mix of activity. The icing on the cake was the judged burnout events run in the early afternoon, with the first place cash prize being taken out by Matt Cavanagh in MAYHEM. Plenty of opportunity for pics and video too as it was a more relaxed schedule than standard competition events. Click each photographer's gallery link below to view photos from the event. Please use the contact form if you have any enquiries about use or purchase any of the images in these galleries. Use of all video below is free of charge with the retention of the HighRPM watermark.